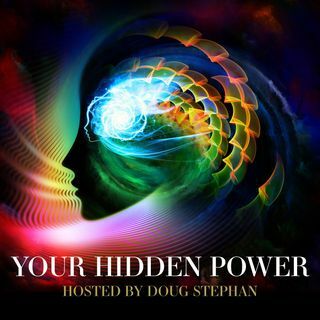 Host Doug Stephan talks with Breast Cancer Survivor Denise von Hengst about how her cure, led her to write the book SACRED CIRCLE; When Past Life Meets Present.https://www.amazon.com/dp/B075SD8VXP/ref=dp-kindle-redirect?_encoding=UTF8&btkr=1 Have you ever had the feeling that you’ve been here before, or that you’ve seen a look in someone’s eyes that is so familiar and timeless? Remembering your dreams can be a key factor, and Denise offer insight on ways to remember your dreams. Next, our ... See More favorite Mystifier Uri Geller http://www.urigeller.com/ defines INTUITION. He offers tips on developing it and gives examples of how INTUITION has saved many lives. Psychic Coach Mary O'Malley https://www.maryomalley.com/ explains how you can strengthen your Hidden Power of INTUITION. Finally, Astrologer Maria Francesca Triliegi http://mariafrancescatriliegi.com/home.html tells us about the significance of the Full Moon of the year, and things to look forward to in 2018.